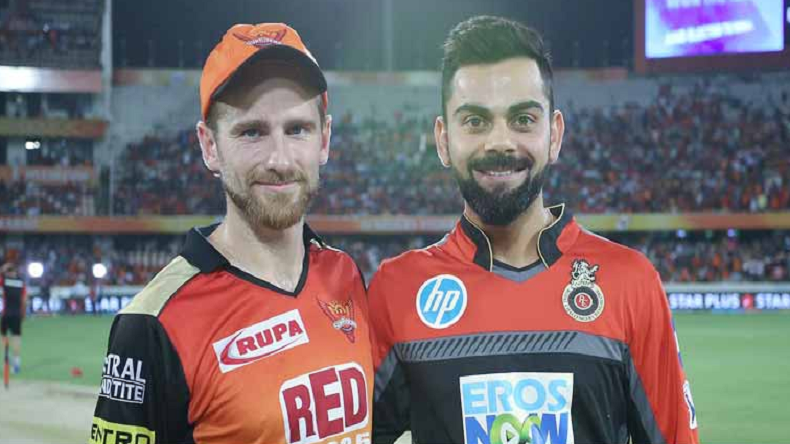 SRH vs RCB, IPL 2019: Royal Challengers Bangalore (RCB) will take on Sunrisers Hyderabad (SHR) at the Rajiv Gandhi International stadium in Hyderabad today. Below is the information about RCB vs SRH live streaming, when and where to watch, time, date and venue. Virat Kohli led- Royal Challengers Bangalore (RCB) is all set to take on Sunrisers Hyderabad (SHR) at the Rajiv Gandhi International stadium in Hyderabad. The match will commence at 4 pm today and the coin will be flipped 30 minutes before the action begins. Sunrisers Hyderabad is led by Kane Williamson and team is on the 5th position on the points tally with 2 points. The orange army tasted the victory against Rajasthan Royals by 5 wickets, while it faced a defeat against Kolkata Knight Riders (KKR) by 6 wickets. On the other side, Virat Kohli-led RCB is seeking a victory and will try to bounce back on the winning track. RCB has played 2 matches and faced defeat in both games against Chennai Super Kings in the opening match by 7 wickets and Mumbai Indians (MI) by 6 runs. Both teams are loaded with star performers like Ajinkya Rahane, Jos Buttler, Sanju Samson, Rahul Tripathi and Ben Stokes, Dhawal Kulkarni. While Bangalore comprises Virat Kohli, Shivam Dube, Colin de Grandhomme, AB de Villiers, Parthiv Patel, Nathan Coulter-Nile, Yuzvendra Chahal. What is the time of match played between RCB vs SRH? The 11th match of Vivo IPL 2019 between RCB vs SRH will be held at 4 pm on Sunday. The match will be played at the Rajiv Gandhi International stadium in Hyderabad. Where to catch the live stream of IPL 2019 RCB vs SRH match? The LIVE match between RCB and SRH can be seen streamed online on Hotstar.com. For the latest happenings, previews and match reports of all IPL matches, cricket enthusiasts can log in to NewsX.com. What TV channel will show live coverage of IPL 2019 RCB vs SRH match? The live TV coverage of the RCB vs SRH match will be available on Star Sports Network. English commentary will be available on Star Sports 1 and for the Hindi commentary tune in to Star Sports 2.